It is never easy to deal with problems that suddenly come up. Getting a phone call from a child’s school can often be frightening, and it can be a relief to find out it’s not a serious emergency. But when the problem is a lice infestation, what should a parent do? Not an everyday problem, a parent may not know where to go for treatment, and may even feel embarrassed about asking. 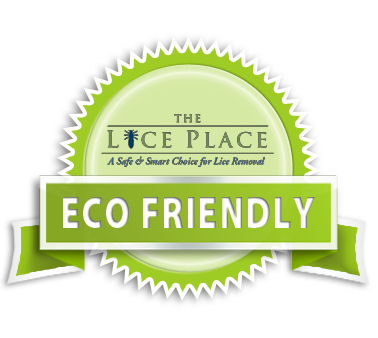 Let the experts at The Lice Place provide any all needed lice removal products in Cool Springs – Franklin. We have been in business for many years and are experts when it comes to lice removal. All of our products are completely safe to use on or around kids, pets, and adults. In addition to being environmentally friendly and non-toxic, we back all of our products with a 100 percent guarantee. We promise that not only will our clients be satisfied, but that lice will be completely eradicated after the first treatment. We have a myriad of different products available, all that treat different levels of infestation. We sell all of our products both online on our website, and in all of our lice treatment centers. It may be best to consult with one of our experts before purchase, to find out if the shampoo, conditioner, mousse, or comb is right for your needs. For those not comfortable administering lice treatment at home, we offer all of our same products in our lice treatment centers, administered by our professional technicians. Our services are backed by the same guarantee as our products. We want to make sure that our clients are completely satisfied. To learn more about lice removal products in Cool Springs – Franklin, stop by or call The Lice Place at (615)656-1646 to make an appointment. We promise complete lice eradication after just one application.